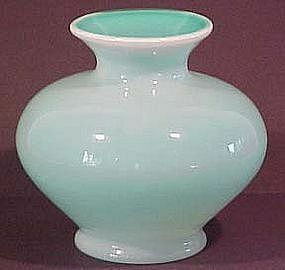 Fenton Dragon and Lotus, Lime Green, 1920, 9" Bowl. Stock #1656. Excellent condition. 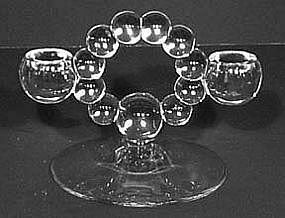 Some people have mentioned that this item is an "un-irridized" bowl. 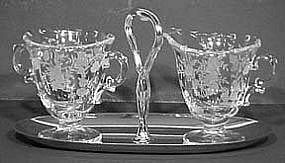 Although commonly found irridized (carnival finish), the un-irridized was also in Fenton's production line and is harder to find! 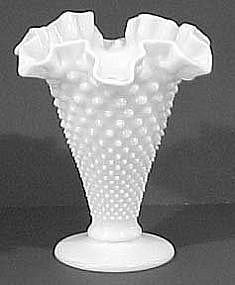 Imperial Candlewick #3400, 1 Beaded Stem 3.5" tall, Sherbet (Oyster Cocktail). Imperial's most popularly recognized pattern. All 5 in mint condition. 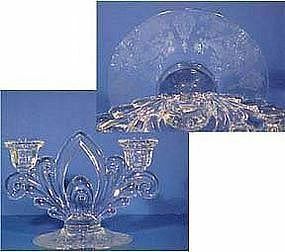 Imperial Candlewick Duo Candlestick. About 6" at widest and 5" tall. In excellent condition. 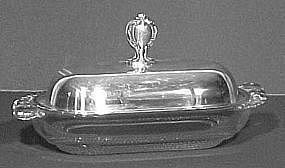 Imperial Candlewick 4-Part Relish Tray is 12" long with tab handles. In excellent condition. 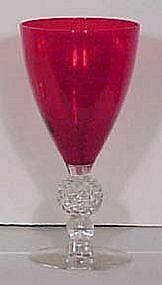 Morgantown Red Golfball Water Goblet, 9 oz. 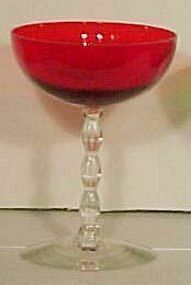 Morgantown Golfball Water Goblet red, 9 oz. were made from 1931-1939. All in excellent condition. 7" tall. 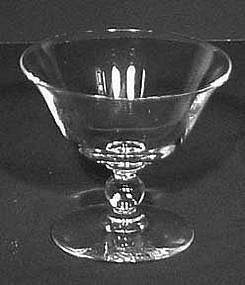 Fostoria Colonial Dame Dinner Water goblet, 11 oz. Made from 1948-1986. Three are available. 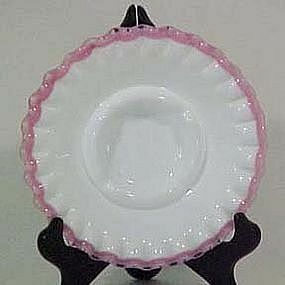 Fostoria Colonial Dame Saucer Champagne, 6.5 oz. Made from 1948-1986. All in excellent condition. 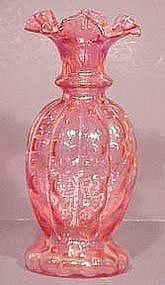 Fostoria Red Westchester High Sherbet, 5" tall, all in excellent condition. 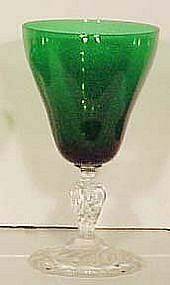 Made from 1935-1942. 5 are available. 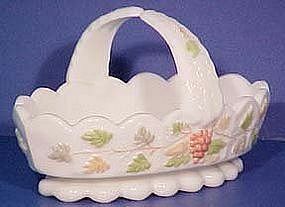 Westmoreland pastel fruit basket is 6.5" long and in mint condition. Made in the mid 1960's. 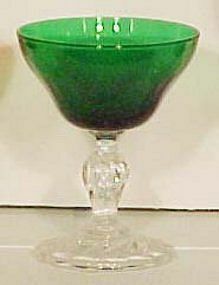 Fire-King Sandwich Creamer in Green was made between 1939-1964. In excellent condition.